Lee Aase could have delegated the job. But when he and Mayo's Social Media Team were tossing around the idea of broadcasting a colonoscopy live on Periscope to mark National Colorectal Cancer Awareness Month, the director of the Mayo Clinic Social Media Network knew just the person for the job. "As we talked through the idea of doing this, I recognized that I was due for my own colonoscopy," Aase says. "So I figured that instead of asking someone else to do this, I might as well just do it myself." Aase said the decision was actually pretty easy. Especially, he says, if it leads to raising more awareness of colorectal cancer and the need for early screening. "I thought, as the director of our social media programs, if it's the kind of thing that we think is a good thing to consider doing, then I really ought to be willing to do it myself," he says. "And the reality is that I needed a colonoscopy. It was time to get screened." 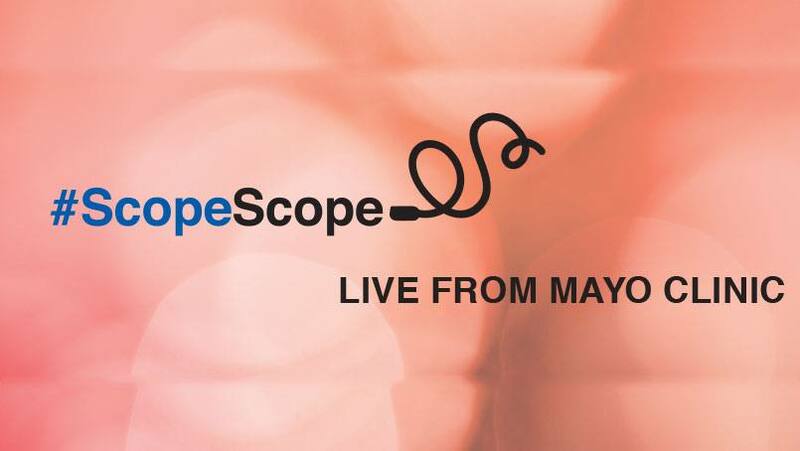 So, beginning at approximately 8 a.m. CST on Tuesday, March 1, Mayo Clinic will be streaming live video of Aase's colonoscopy on Periscope in an online broadcast event dubbed #ScopeScope. Viewers will hear from Aase before the procedure, and hear from a Mayo physician while the procedure is underway. "On Tuesday morning, as conscious sedation sets in, colleagues will take over the broadcasting via the Mayo Clinic Periscope channel and Twitter account," Aase writes in a post on the Mayo Clinic Social Media Network blog. A pair of Mayo Clinic doctors will then take over. "We'll have one physician doing the colonoscopy and another physician answering questions … because I don't want the doctor who's doing the colonoscopy to be distracted," Aase tells us, with a laugh. Leading up to the big event, Aase will "be tweeting and 'scoping on my personal accounts … including my check-up on Monday and the dreaded colon prep," he says. Following and retweeting the #ScopeScope hashtag on Twitter. Following the Mayo Clinic Periscope channel "so you'll get a notification when the broadcast starts on Tuesday," and then sharing the live video feed with others. If you're unable to watch the live procedure on Tuesday, don't worry. "It'll be available for 24 hours on Periscope and then we'll make an archive available later on YouTube," Aase says. You can share your comments below and share this story with others using the handy social media tools atop this page.